Signed on Dec. 21, 2018. He was selected in the fifth round (42nd overall) of the 2018 CFL draft and originally signed on May 14, 2018. (Calgary) Maxwell attended Calgary’s training camp before returning to UBC. In two pre-season games for the Stamps, he had one special-teams tackle and one knockdown. 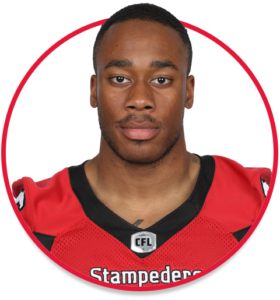 Maxwell originally enrolled at the University of Calgary and spent two seasons at receiver. He then transferred to UBC and made the switch to defensive back. In 2017 for the Thunderbirds, he posted 52 total defensive tackles, one tackle for loss, seven knockdowns and one interception. He also returned a kickoff 96 yards for a touchdown and was selected to the U Sports East West Bowl. In 2018, he played two games and recorded 10.5 tackles. Maxwell attended Calgary’s St. Francis High School and competed in track as well as football.